Willie Marvin "Bill" McQueen, age 84 of Laurinburg passed away Wednesday, October 24, 2018. Willie, son of the late Chesley Talmadge McQueen, Sr. and Anne Pearl McLean McQueen was born May 8, 1934 in Lumberton, North Carolina. He enjoyed his life as a farmer and also worked as a butcher and mechanic. 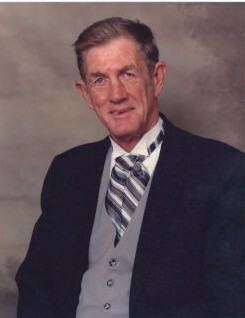 He was a talented wood craftsman and enjoyed gardening and going fishing. Bill loved sharing time and caring for his family, especially his grandchildren. Along with his parents, he is preceded in death by his brother, Chesley Talmadge McQueen, Jr. 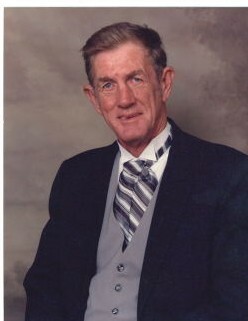 He leaves behind his son, Victor “Chuck” McQueen (Debra) of Laurinburg and daughters, Kathy Lawson (Dana) of Laurinburg, Lorie Carlyle (Randy) of Rowland; grandchildren, Chris Lawson (Jennifer), Leslie Gilmore (Keith), Jeanie McQueen, Lindsay Carlyle and Ross Carlyle; great grandchildren, Billy Gilmore, Weston Gilmore, Ben Gilmore, Charlotte Gilmore, Liam Lawson, Emory Lawson and a host of loving family and friends. Visitation will be from 2:00 until 3:30 p.m. Saturday, October 27, 2018 at Richard Boles Funeral Service followed by a graveside service at 4:00 p.m. in the McQueen Family Cemetery. Memorial donations are requested to be given to Scotland Regional Hospice, P.O. Box 1033, Laurinburg, NC 28353.